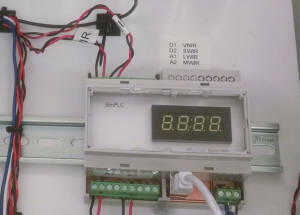 Simplex Scientific is available to design and manufacture UL Certified Industrial Electrical Panels. The Simplex Advantage is in our ability to quickly design and supply new custom designs due to our increasing in-house capabilities. 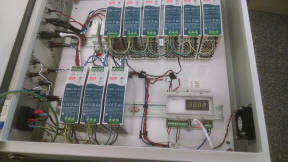 The new family of Simplex PLCs (Programmable Logic Controllers) are also custom but are compatible with other Simplex design which allows reuse of software. They are based on high speed 32 bit processors with included floating point support to provide much better performance than most other PLCs. In-house design, machining, including custom printed circuit boards allows Simplex to deliver products when other vendors are waiting for quotes.